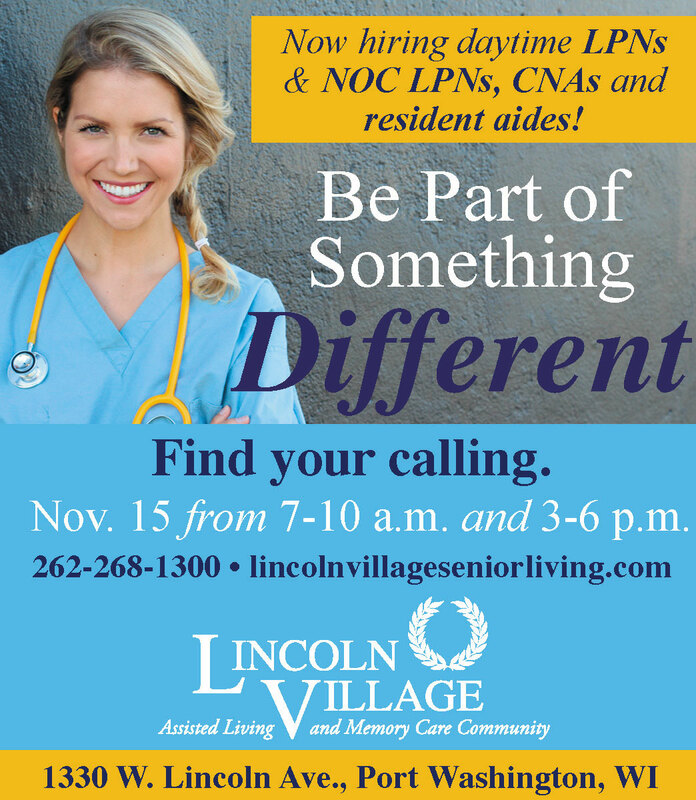 Lincoln Village is now hiring daytime LPNs and NOC LPNs, CNAs and resident aides. Be part of something different at Lincoln Village! Stop by on November 15 from 7-10 a.m. or 3-6 p.m. to learn more about our community and our open positions.